If you can plan your living and work situation well enough, living close enough by to the vital places you need to go in your life opens up the option of walking, another great way to avoid traffic. For places slightly further than walking distance away, you can also take a bike ride. Walking or biking around L.A. is a great way to get around while avoiding traffic and getting good exercise. For more advice on bicycling in L.A., read our full guide with the man who (literally) wrote the book on L.A. biking. 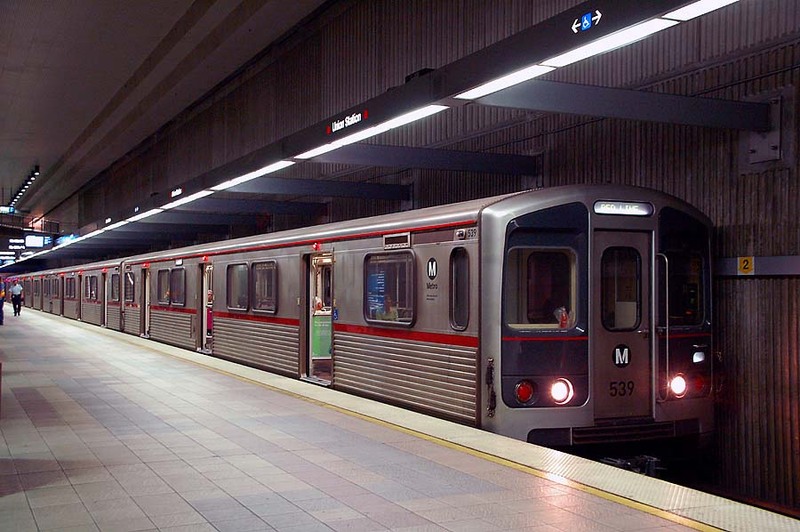 You wouldn’t know it, but L.A. does have a useful train system. The trains run a bit sporadically, but in the end, get the job done (as long as you’re going from one point on the system to another.) For travel closer to the city center, the Metro only costs $1.75 and takes you to many points in the city without ever hitting any traffic. For those taking a slightly longer trip, the MetroLink stops in many of the areas outside L.A. like Ventura, Anaheim and San Bernardino. Usually, the train takes longer than a straightforward drive to most destinations, but the cost of parking and the time lost in traffic jams can make the train ride worth it a lot of the time. That’s right: you can order helicopters on-demand in L.A. As notorious L.A. photographer Michael Freeby tells us, the would-be heli-rider has a number of options when looking to fly over L.A. There’s an app called BLADE, on which users can order discount private helicopter rides on-demand. The popular ridesharing app Uber also offers on-demand helicopter rides in L.A. with “UberChopper”, a literal “uber for helicopters”. Freeby advises any helicopter enthusiasts to try Coastal Helicopters, though it may be less accessible than UberChopper or Blade. All of the above are options to the L.A. traveller annoyed by traffic and seemingly okay with splurging for a helicopter ride. If you must drive around in L.A., you can try avoiding traffic by driving around at unorthodox hours. Keep in mind traffic is caused by a lot of people trying to do the same thing at the same time. If you avoid the most common driving hours, ie rush hour, and get your driving done late at night or early in the morning, you can avoid traffic. This isn’t a foolproof method, but most of the time strategic timing can help you avoid the rush. Utilize any resources available that can show traffic conditions and alternate, lesser known routes. Knowing both is a great way to steer clear of traffic, but takes the most up-to-date, robust, and useful resources.